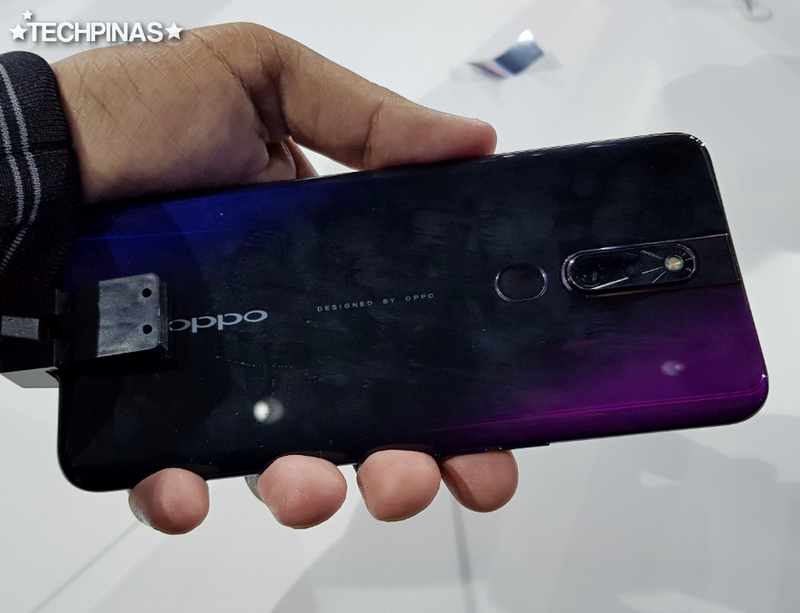 More than three weeks after the hero midrange smartphone was formally unveiled in India, OPPO F11 Pro was finally introduced in the Philippines on Wednesday - March 27, 2019 - via an exclusive media event held at the World Trade Center in Pasay City. 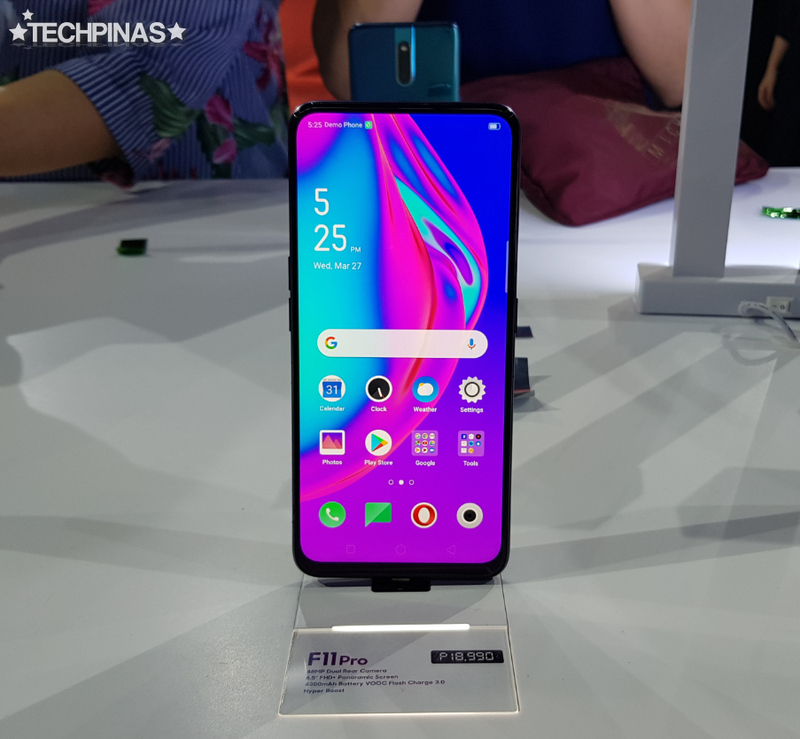 The much awaited OPPO F11 Pro is the latest - to be specific, 12th - iteration to the Chinese handset company's wildly popular mid-level F-Series, under which a whopping two million smartphone units have been sold in our country. Flaunting a design identity that's totally different from its predecessors, this stylish model has several key selling points that will surely prove magnetic to Filipino mobile consumers who are now planning to upgrade their entry-level Android phone or aging midrange handset from 2017 or earlier. I'd say that the first thing about OPPO F11 Pro which will capture your attention is its downright gorgeous, notch-free 6.5-inch FullHD+ IPS Display with 19.5:9 Aspect Ratio rounded corners. I've seen it in the flesh and I think this screen can truly deliver an enjoyable viewing experience whether you love playing games, watching TV series, reading blogs, or viewing vlogs on Youtube. I know many consumers hate the notch with a passion despite it being seen my some companies as a novelty feature. I'm sure this screen will delight those who can't stand seeing any odd element on the display, which takes away from the viewing experience. 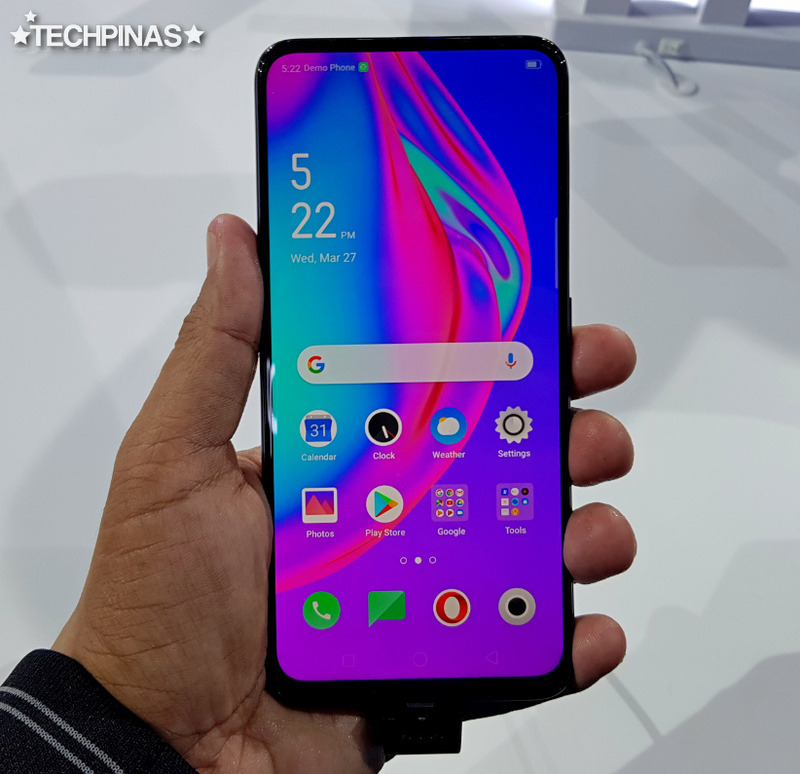 OPPO was able to skip the notch by adding a motorized mechanism on the top panel of the handset, which houses the 16 MegaPixel f/2.0 selfie snapper. This module automatically elevates when you unlock the device - in case you are using Facial Recognition security feature - or when you launch the camera application and switch to the front-shooter. 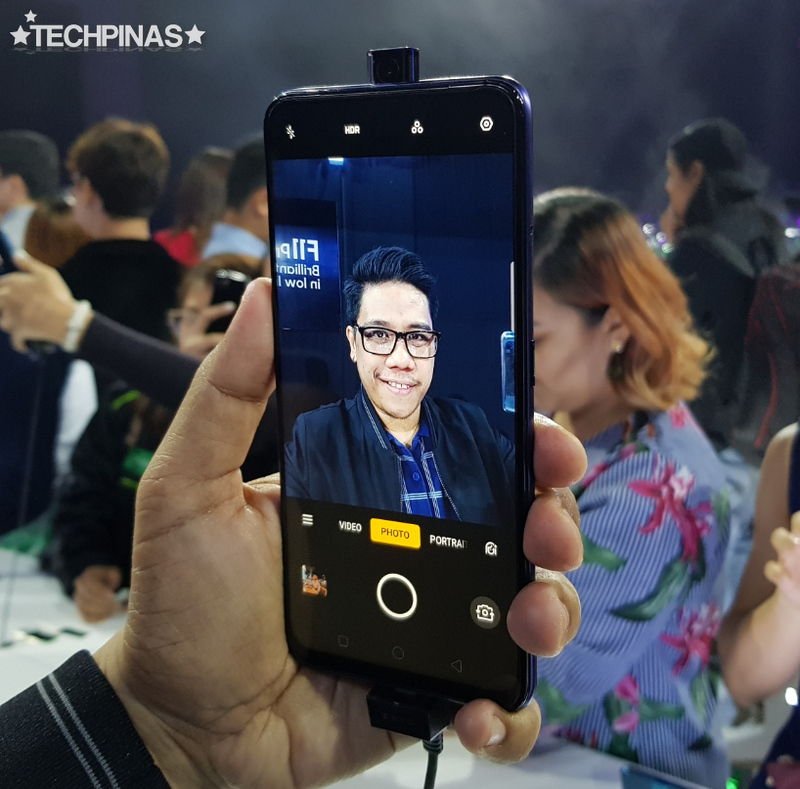 Although it's no longer branded as a "Selfie Expert", the OPPO F11 Pro still has AI Beautification software integrated into its cameras. Essentially, this innovation automatically evens out your skin tone while retaining the identifying marks and features of your face -- so your beautified selfies still look like you and not another person altogether. Millions of Filipinos love taking and sharing Selfies and if you're one of them - like I am, rest assured that this model will still give you attractive self-portraits that you can instantly share on Facebook or Instagram. 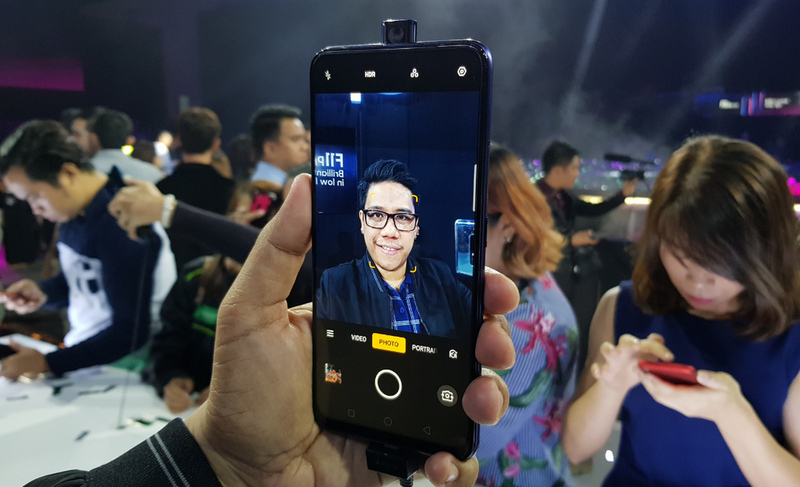 One of the real highlights of the OPPO F11 Pro that was showcased during the launch was its Low Light Imaging capabilities. This handset features a Dual Rear Camera Module made up of a 48 MegaPixel f/1.8 primary shooter - one of the highest resolution cameras put on any smartphone - plus a 5 MegaPixel f/2.4 Depth Sensor that enables Portrait Mode, letting you add a beautifully blurred background to your shots of people or food, among other subjects. The Primary Cam had been specifically crafted by OPPO to deliver great-looking images even in settings when there's little ambient light. This snapper features an 80% larger sensor compared to earlier F-Series models, a wide aperture, electronic image stabilization, and enhanced Ultra Night Mode software optimization, combining seven shots into one to give you the sharpest low light shots possible even without a tripod. 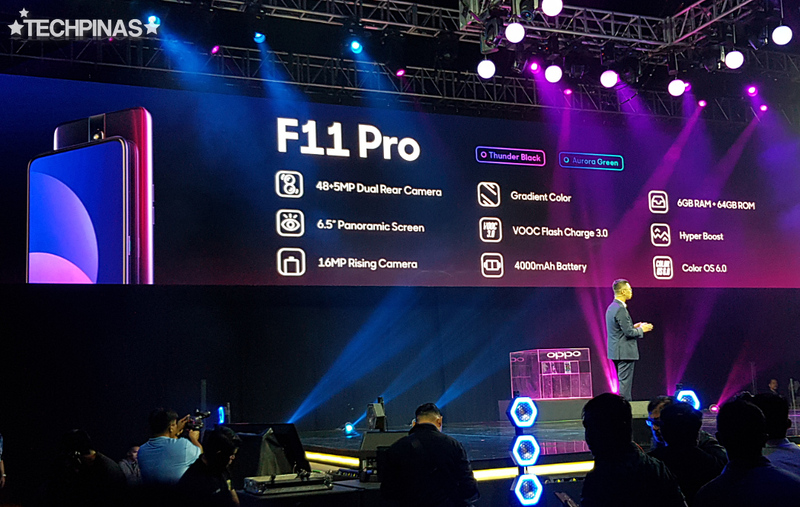 During the latter part of the presentations, OPPO Philippines' ambassadors for the OPPO F11 Pro holding various professions talked about the stellar low-light imaging prowess of the device. You can watch them discuss the F11 Pro's camera capabilities in the video above. 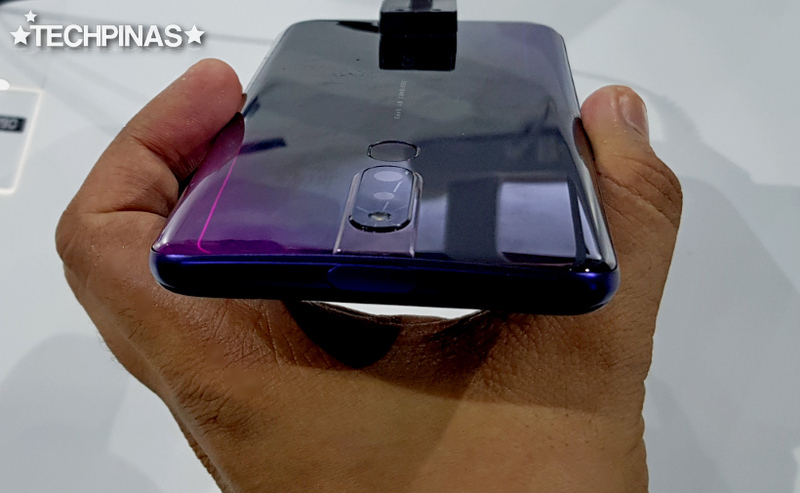 For users who are primarily concerned with security and privacy, the OPPO F11 Pro has the usual pattern and password unlock, Face Detection, and Fingerprint Scanner located at the back. All of these add a veritable layer of protection against those who may be planning to take a look at or steal your private content like messages, photos, and videos. 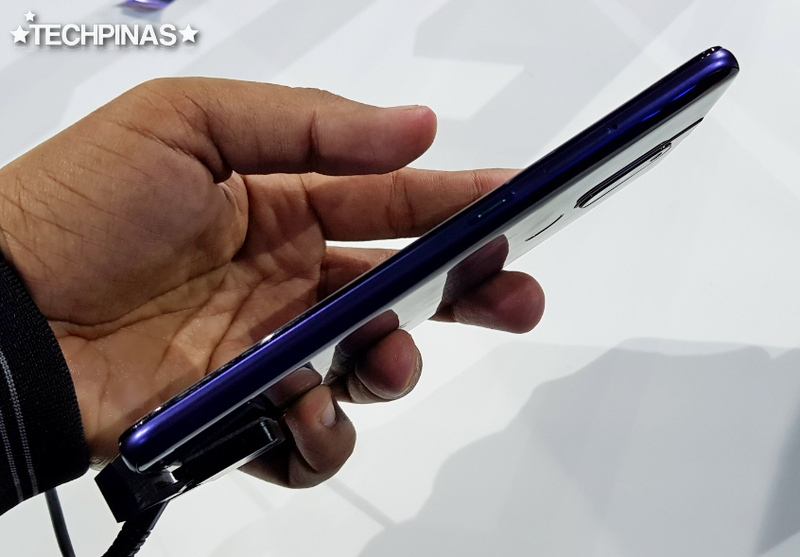 Inside the phone's sleek shell, it runs its Color OS 6.0 customized Android 9.0 Pie Android operating system with a more than capable and very energy-efficient 12nm Octa Core MediaTek Helio P70 processor that incorporates a Mali-G72 MP3 GPU for smooth gaming experience when running popular titles like Mobile Legends Bang Bang and PUBG Mobile. This handset even has Hyper Boost technology that further enhances game-play when running resource intensive applications. The chipset is complemented by 6GB of RAM for stutter-free multitasking experience when running multiple apps at once and 64GB of internal storage which you can easily expand using the device's hybrid secondary nanoSIM slot that can also take in a microSD card up to 256GB. 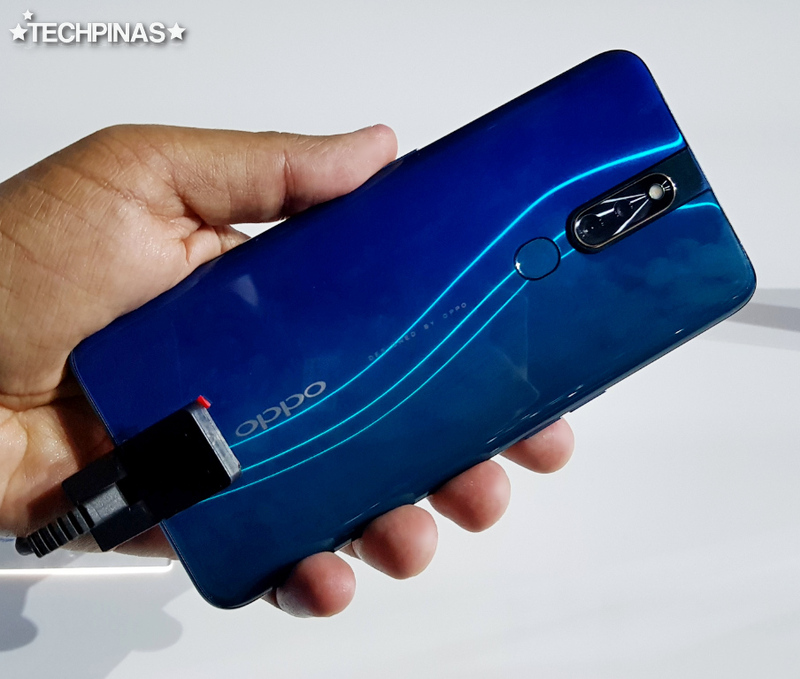 Another key feature of the OPPO F11 Pro is the company's patented VOOC Flash Charging Technology that lets you charge the phone's large 4,000 mAh Li-Po battery pack in a shorter amount of time so you can spend more time being more productive on the device on the go. The OPPO F11 Pro's 4,000 mAh Battery delivers up to 15.5 Hours of regular use - easily covering a whole day at work or school, 12 Hours of watching videos, or 5.5 Hours of playing your favorite mobile games. Not bad at all, right?! Did I make you interested in OPPO F11 Pro? Well, the handset only costs PHP 18,990, which I think is a good price considering everything that it offers. You can even pay for it in installments via Home Credit, Metrobank, or BDO. This hero midrange Android smartphone is available in two colors - shown above - Thunder Black and Aurora Green. 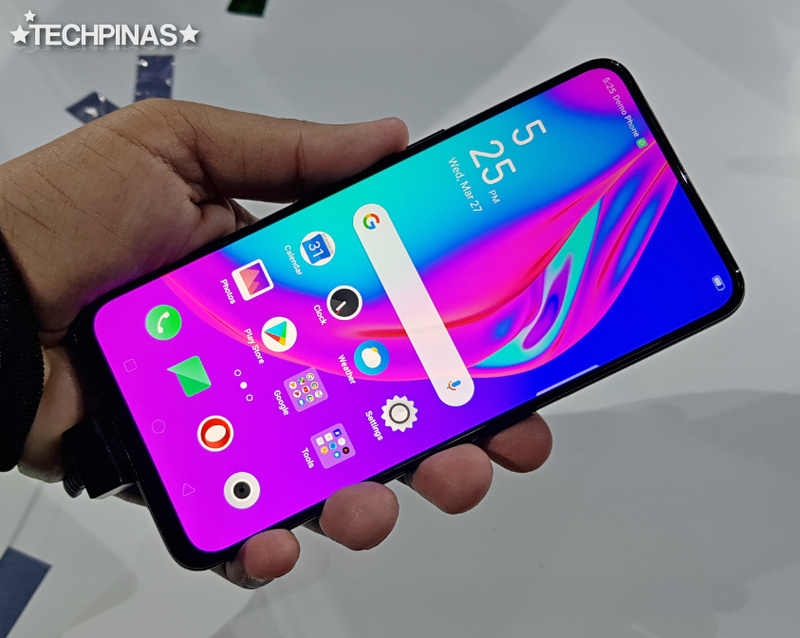 Pre-order for the OPPO F11 Pro in the Philippines starts on Thursday - March 28, 2019 - until April 5 and the handset will officially store shelves on April 6, 2019. OPPO Fans who will successfully sign up for a unit will get a free Rock Space MUSE Bluetooth Speaker worth PHP 2,499.